Just like the Israelites’s mass exodus from Egypt, there seems to be a major exodus of PC users away from Windows and towards there very own Apple promised land. The Israelites wandered in the desert for 40 years before they found their promised land, though PC users will have a significantly easier time reaching theirs. 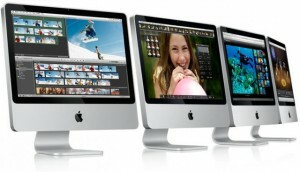 PC sales have seen quarter after quarter of sluggish sales and have been looking for something to get out of the slump. The most recent attempt was lead by Windows 8, the newest operating system from Microsoft. However, despite adding a ton of touch features and a completely new layout, users still weren’t swayed. 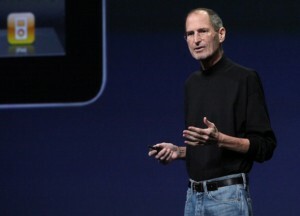 As a result, the Moses of PC users (Apple in this case) has arrived to deliver PC users to a better tomorrow. According to a recent Avast survey of 135,329 U.S. Windows users, 42% of all Americans looking for a new computer have said that they plan on switching to an Apple product, suggesting that the new operating system just isn’t enough to keep people interested. That doesn’t mean, however, that they will be switching to a Mac. About 12% of the surveyed people are considering a move to Apple’s desktop solution. Most of the other users are planning on switching to an Apple iPad, 30% to be exact, or some other iOS device. A full 68% of users still plan on buying a Windows 8 PC, though, which suggests that at least some of the consumers in the market for an iPad also plan on purchasing a Microsoft-made computer. Regardless, those are still big numbers for Apple. Even though these figures decrease a little bit on an international scale, it still bodes well for the company. Apple already holds the number one spot in the tablet market by a substantial margin. PC sales could, however, be bolstered by the debut of the Microsoft Surface tablet as well as a lot of other Windows 8-based tablets. That still only bodes well for the company overall, and not the company’s PC sales. CNBC has just commissioned a new survey which depicts exactly why the stock price in Apple has been on such a rise over the past several years. According to the survey, over half of all the homes in the entire United States own a product made by the Cupertino tech giant. In addition to that, 1 out of every 10 homes that do not own an Apple product plan to purchase one in the next year. The survey discovered that a total of 49% of the homes in the United States didn’t own a single Apple product. A total of 16% owned a single Apple device with 12% owning 2 devices, 13% owning 3 to 4 devices and 9% owning 5 or more devices, totaling 51% of American homes. In addition to those findings, the survey discovered that a home’s income level is a strong indicator of Apple product ownership. 28% of homes making under $30,000 per year only own one Apple product while 77% of homes making more than $75,000 per year own one or more. 63% of individuals between the ages of 18 and 34 and between 35 and 49 own Apple products, whereas only 50% of the 50 to 64 age range do, with those aged 65 older having 26% owning an Apple product. 61% of households with children also own an Apple product, as opposed to the 48% of households without children. The average home in the South owns 1.2 Apple products, which marks the smallest in any region, while the average household in the country owns 1.6 Apple devices. In addition to that, CNBC noted that the survey polled 836 Americans from March 19th to the 22nd and contained a margin of error of +/- 3.4%. If you haven’t heard by now, Apple’s official website has secretly been updated to take full advantage of the new Retina Display on the new iPad/iPad 3. If you want to see what the site looks like with its new update, you can, even if you don’t have an iPad 3. All you have to do is perform a simple tweak on your Apple Safari web browser from your Apple desktop or laptop. Apple has started upgrading different sections of its website with new high resolution images large enough to fit on the iPad 3’s Retina Display. 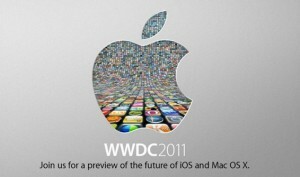 What’s more is that these images can currently be found on the homepage of Apple.com and even on the site’s dedicated iPad page. It was initially believed that Apple users needed to enable HiDPI resolutions with developer tools on their Mac computers in order to view these particular images. 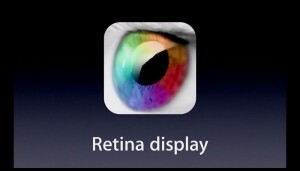 However, a shortcut has recently been discovered which will allow any desktop using Safari to view the Retina Display enhanced images on Apple.com. In order to view the images you need to open Safari and choose Preferences. Once inside, go to Advanced and check the option labeled as “Show Develop menu in menu bar.” Once you do this you will be able to right-click on the Apple.com homepage and choose “Inspect Element”. After that is done, the Safari developer console should respond with “klass”. You can now close down the “Inspect Element” and head over to View and choose to Zoom In. By using this method, users will be able to get a close-up look at the graphically enhanced Retina Display pages on Apple’s website, whether they are using Mac OS X or Windows. DVD Video Projectors are exactly what they sound like, a combination unit that combines a DVD media player with a video projector, cutting out the need for multiple pieces of electronics and wiring. Target, in my opinion, is one of the greatest stores on the planet. The ones around my neck of the woods literally have everything: clothes, electronics, movies, toys, games, cameras, home goods, food and even a Starbucks, Pizza Hut and food court. So, whenever I go into Target, I can’t help but say to myself, “How could this place possibly get any better?” By adding an Apple store, that’s how. Reuters had originally reported that Target would be installing special displays for Apple products in concordance with a new effort known as “The Shops of Target”, something the retailer announced last week. Target will begin with 25 stores around the country, which is the same number that was initially reported by Apple Insider last week as well. The Cupertino giant already offers a plethora of devices and accessories at Target, though selection is limited to iOS products like the iPhone, iPod and iPad. The mini Apple stores found within other big name retailers, like Best Buy, include all of that with the addition of Apple computers. 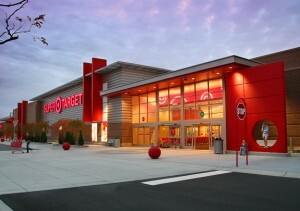 A spokesman for Target could not confirm nor deny whether or not these new mini Apple stores inside of Target would include Apple’s computers as well, though it stands to reason that, if Apple is making a big deal out of it like they are, we may very well see Apple computers added to the list. Other companies, like Wal-Mart, already offer limited selections on laptops though none offer complete Apple computers. Should Target begin retailing Apple’s famous computers, we could very well see Target become the next big thing in the retail market. I know that this definitely excites me because it gives me yet another thing to look at during one of my many trips to Target on the weekends. Think wearable computers are only things Marty McFly can get ahold of? Think again, because Apple is apparently working on designs for wearable computers and has even gone as far as to create a few prototypes, just because they can. Multiple unnamed sources are claiming that a small team at Apple’s headquarters in Cupertino, California are hard at work on these devices, as well as concepts for other wearable computer products. The New York Times reports that Apple’s wearable computer concept will include devices that transmit data to your iPhone or display information on iPod screens. Apple is also said to be playing with the idea of a wrist watch-style iPod that has a curved glass surface along with a Siri voice control interface. The curved glass surface idea began as a rumor in the beginning of 2011, though at the time it was also assumed that the glass was for the next generation iPhone. That rumor, however, quickly became debunked when the iPhone 4S was released with the exact same screen format as the previous iPhone 4. Though, maybe the rumor isn’t false and is simply referring to the iPhone 5? It seems likely that Apple is working on new designs and accessories for these wearable computers since iPods, iPads and iPhones are already extremely portable. Wearable devices seem like the next logical step for Apple though the sources are saying that just because Apple has prototypes does not mean we will be seeing these devices anytime soon. Regardless, Apple is already teasing consumers with wearable tech with the iPod Shuffle and the new version of the iPod Nano. 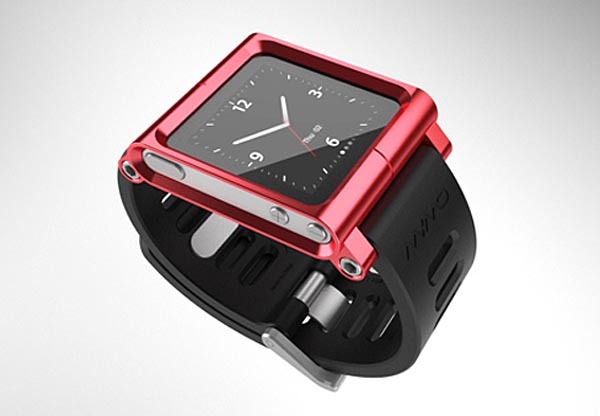 The new iteration of the Nano includes a lot of watch faces and some companies have even made wrist bands specifically designed to hold the iPod like a standard wristwatch. Nevertheless, the mere thought of Apple bringing together the iPhone, wireless data technology and Siri onto a single, wearable device is definitely exciting and something that many people are praying the company is actually serious about bringing to life. I just hope they find a way to recreate the hoverboard from Back to the Future. If there is a company alive today that can do so, it is definitely Apple. 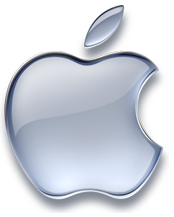 Established on April 1, 1976, the company was previously named Apple Computer, Inc., for its first 30 years, but removed the word “Computer” to reflect the company’s ongoing expansion into the consumer electronics market in addition to its traditional focus on personal computers. They are best known for their Macintosh line up of computers, including the iMac. Other consumer electronic and mobile devices like the iPod, iPhone, and now the iPad, are extremely popular in today’s technology world. Apple has established a unique reputation in the consumer electronics industry for various reasons, like their comprehensive aesthetic design and unique advertising campaigns. 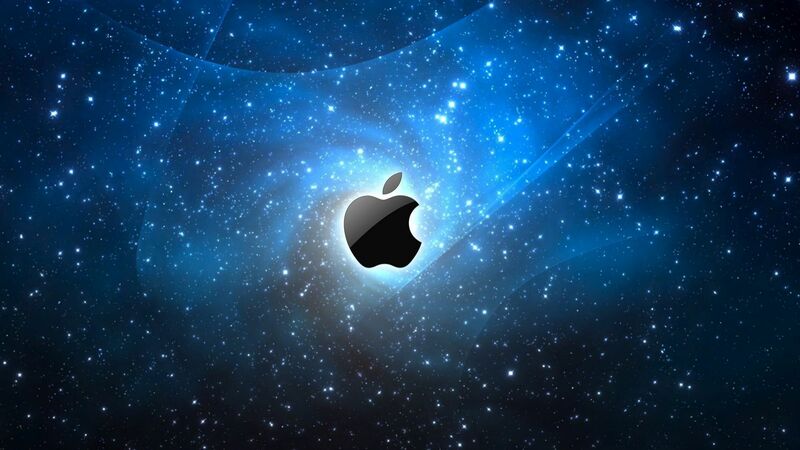 Apple has a large following and a customer base that is devoted to the brand and the company. Apple was actually named the most admired company in the US and even the world for the past few years. 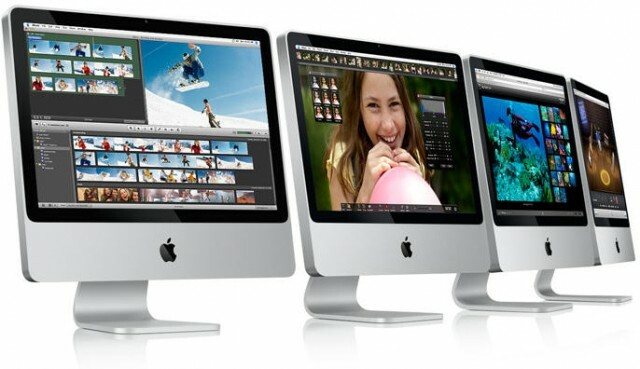 All Apple Mac Rentals feature the latest Mac OSX version. If you are interested in renting any of Apple’s computers, laptops or tablet PCs, then a Tech Travel Agent is your best bet for acquiring Apple rentals. An experienced Tech Travel Agents can meet any of your Apple or Mac rental needs. 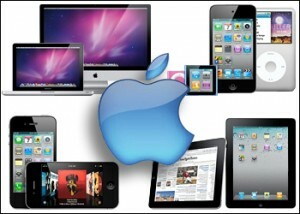 We offer a full line of Apple products for business or personal needs. These products include Mac Pro Rentals, iMac Rentals, MacBook Pro Rentals, MacBook Air Rentals, Mac Mini Rentals and Apple iPad and iPad 2 Rentals. Will Holiday iPad Sales be Limited by LCD Supply Shortage? The holiday shopping season will be upon us before you know it…and many have visions of apples – not sugar plums – dancing in their heads…as in Apple’s iPad. But iPads are currently in short supply or sold out just about everywhere and Apple claims they are selling them just as fast as they can make them. Now comes word that the supply of the wildly popular tablet may not get better anytime soon because of a parts shortage. Apple revealed during their earnings call this week that they’ve sold over 3.3 million iPads since it’s April launch, and plan to have it available in 19 countries by the end of the month. That kind of consumer demand doesn’t bode well for supplies of the highly sought-after tablet for the upcoming holiday season, which promises to see competition from both Android and Windows 7-powered tablets, and has already seen aggressive pricing competition from Amazon’s Kindle and Barnes and Noble’s Nook e-readers. LG says it will be investing $512 million to build new production facilities in order to meet increasing demands for the screens. But that plant won’t be operational until the 4th quarter of 2011. LG hopes that a recent fall in demand for LCD TV screens will allow them to cut production to those lines this fall in order to increase production of the highly-demanded smaller screens. With more and more of these smaller, high-resolution screens being used in all walks of consumer electronics from cell phones to handheld games to cameras and picture frames, the demand isn’t going to soften anytime soon. But screen supply issues aren’t unique or limited to LG. Verizon has also recently attributed supply problems with it’s Droid Incredible smartphone to screen supply issues with Samsung. So if an iPad is on your holiday gift or wish-list, you might want to get in line now. Need an iPad for your upcoming tradeshow but finding them out of stock? Rent an iPad TODAY! Call a Tech Travel Agent now @ 800-736-8772 and skip the lines!